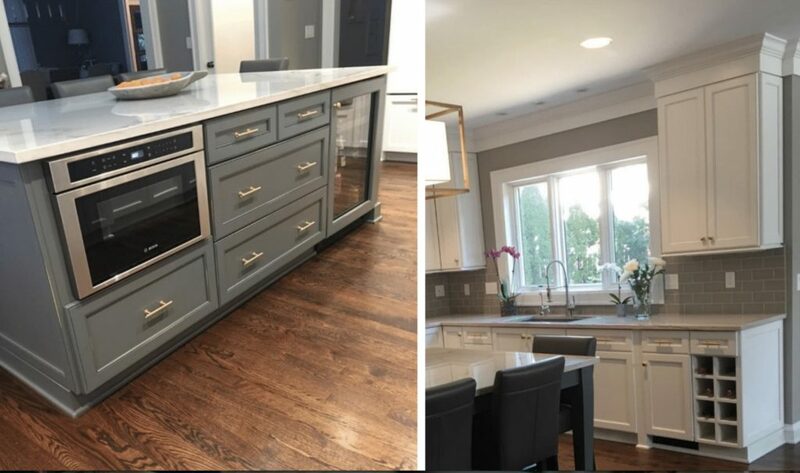 Our team at Dover was honored by NARI with a 2018 NARI Contractor of the Year (CotY) Award: First Place, Residential Addition ($175,001 – $250,000), for this home remodeling project in Rocky River. 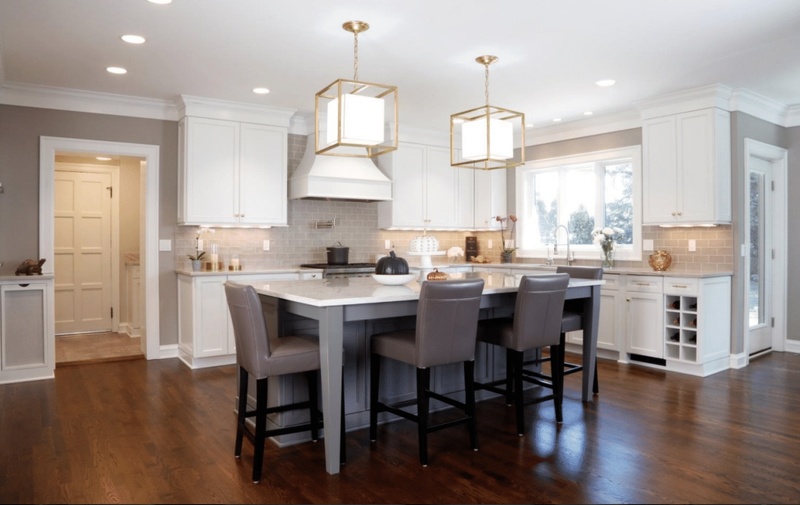 For the next 3 weeks, designer and guest blogger Shelley Bujdos will take you on a behind-the-scenes tour of this award-winning home renovation that includes a new kitchen, family room, bathroom and mudroom. Get ready to be inspired. 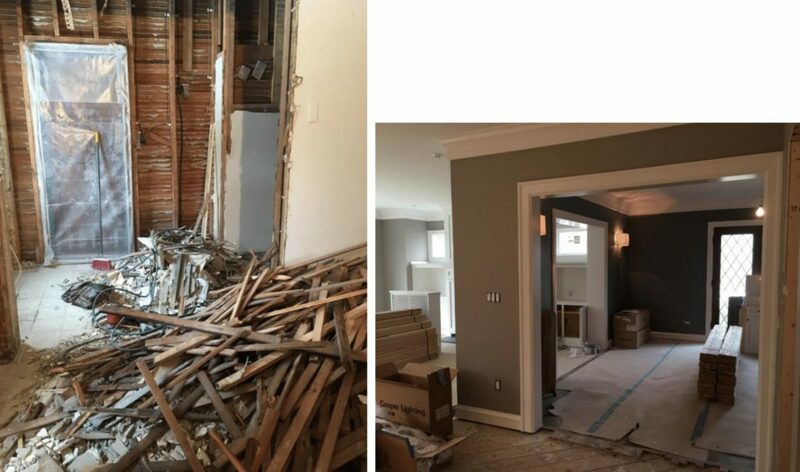 In this blog I’ll walk through the total kitchen transformation, with lots of great photos that document the journey from closed and cramped to open and spacious. The bright new gourmet kitchen features custom painted cabinetry, Macabus quartzite counters and handcrafted subway tile on the backsplash (Ceramic Tile International, Virginia Tile). 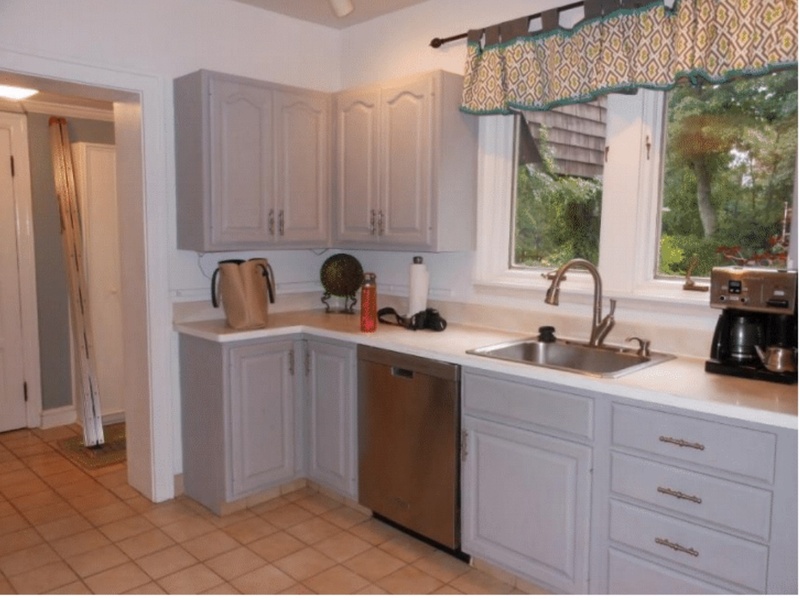 This growing family was thrilled to have space to gather in their new kitchen. The large central island provides comfortable seating for five and also packs plenty of function: A microwave drawer from Bosch, a dedicated beverage fridge and convenient pull-outs for pot and pan storage. 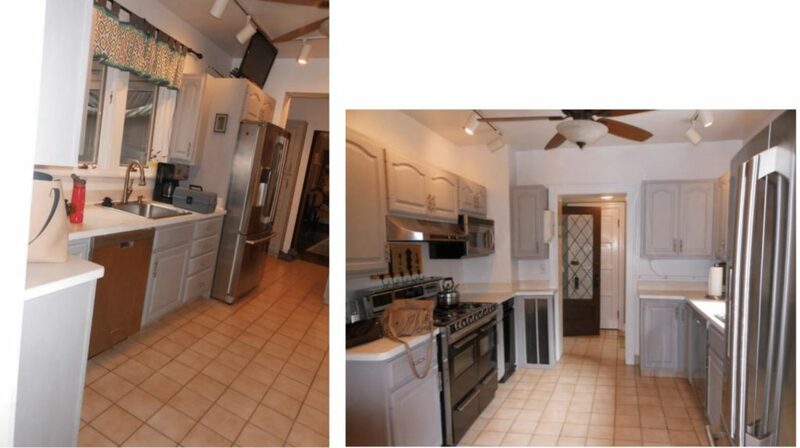 Custom wood panels adorn the Sub-Zero refrigerator, dishwasher and ice maker. 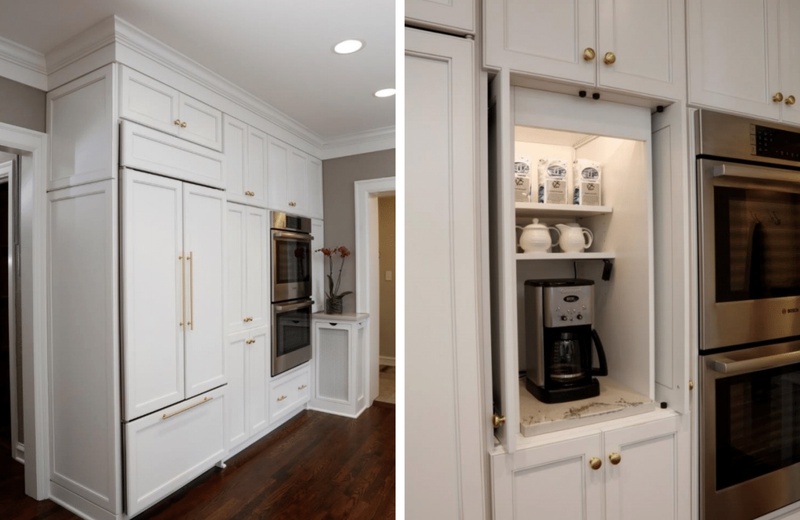 A coffee center with recessed doors, double ovens (Bosch) and a custom radiator enclosure complete the built-in refrigerator wall. 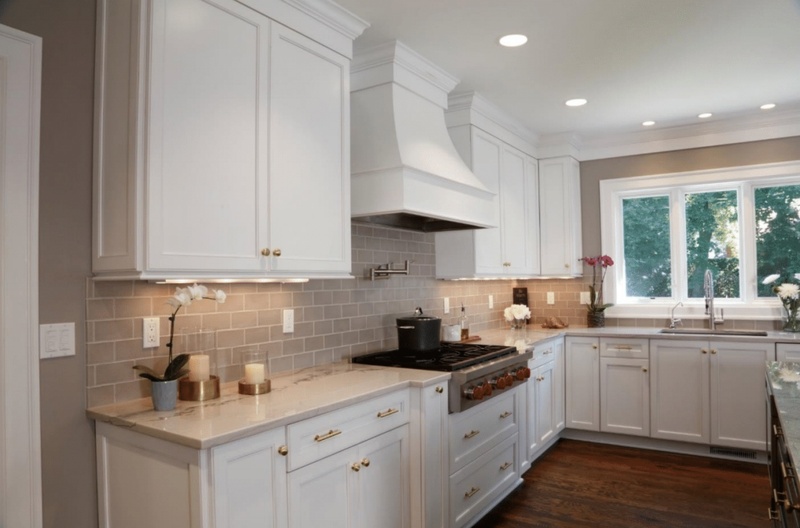 The homeowners chose a clean, bright white palette for the updated kitchen and then selected burnished brass pendants and cabinet hardware to add a touch of warmth. 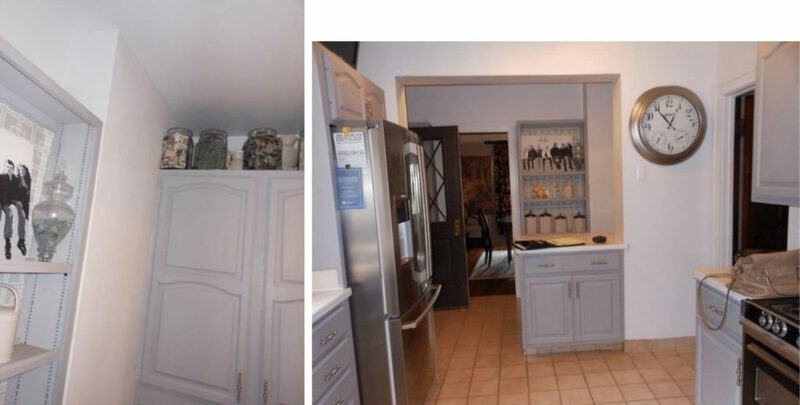 A spacious walk-in pantry with a frosted glass door replaces the original cramped pantry cabinet. 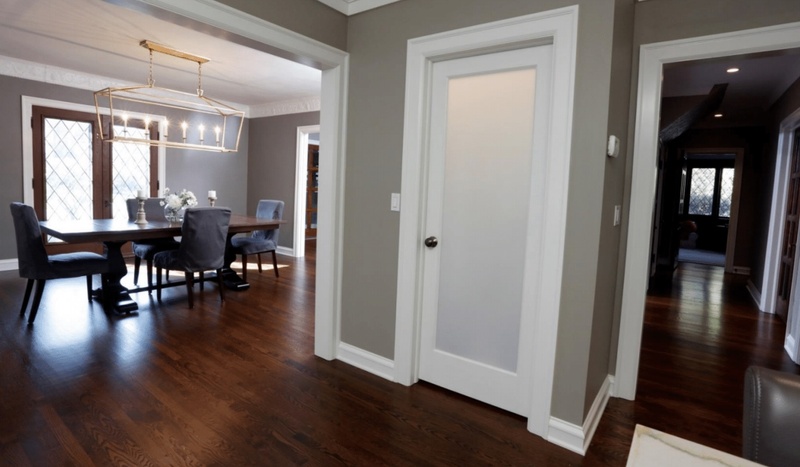 In my next post, I’ll wrap up this extensive home remodeling project with more family room photos, and details about the bathroom and mudroom renovation. You won’t want to miss it!